"Extreme Camouflage Cream Full Cover is perfect for concealing the most extreme flaws, such as scars, sever skin damage, beauty spots, depigmentation or birthmarks. It can even hide tattoos. Waterproof and long-lasting, it holds even under extreme conditions thanks to its perfectly stable formula. It evens out the skin tone and camouflages imperfections for extended periods of time." If you read my IMATS Haul post, you would have known that I purchased this concealer at the event. Make Up For Ever is extremely hard to find in the UK so I jumped at the opportunity to purchase it from IMATS. I actually think I've used this concealer everyday without fail since buying it. I bought it in the shade #12 so it can be used as an under-eye concealer and highlighting. What I really love about this concealer is that it does not crease so if you're looking for an under-eye concealer then you may want to look into trying it out. The concealer is currently available in 12 shades but not all stores stock the full range so certain shades may not be available depending on where you go. 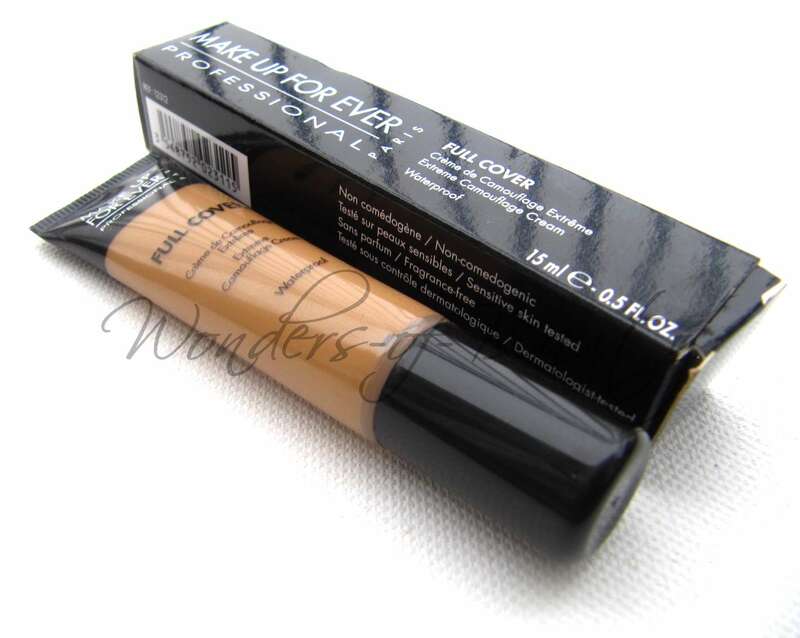 This is a full coverage concealer which can be used to cover scars, birthmarks, dark circles, etc. The concealer has a cream consistency that is not too thick and is very smooth and easy to blend. It comes in a squeezy tube with a nozzle and a screw top lid which I think is ideal. I prefer squeezy tubes with nozzles to tubs/pots as I feel it is more hygienic. The nozzle also means that you can control how much product comes out at a time, that way, there is no wastage. You get 15ml/0.5 fl. oz of product. The concealer is usually around £20.50-£22.50 though I purchased it for £13.81. Like I mentioned previously, it is very hard to find in the UK but can be purchased from PAM or Guru Makeup Emporium. Besides the price, I love everything about this concealer and mainly the fact that it doesn't crease. Though I only use it as an under-eye concealer, I think it will be perfect for anyone who has scars, marks from spots or maybe just dark circles which they want to cover for an absolute flawless finish. Even though it is a full coverage concealer, it doesn't feel heavy at all neither does it look too thick or cakey. I know some of you may be thrown off by the price but you won't need much of it to cover your blemishes as a little goes a long way. Do you already own this concealer or will you be giving it a try?